Dr. Monica G. Kalra attended Texas College of Osteopathic Medicine in Fort Worth. Upon graduation, she received the TR Sharp Award for her outstanding work in family medicine. She completed her residency at Methodist Hospital of Dallas, where she received an academic excellence award and served as chief resident. She then completed fellowship training in academic medicine at The University of North Texas Health Science Center. She serves as research director for the Memorial Family Medicine Residency Program and is a clinical assistant professor at Texas A&M College of Medicine and Baylor College of Medicine. Board certified in family medicine, Dr. Kalra has been in practice since 2011. Her clinical interests center on preventive care and evidence-based medicine. Fluent in Bengali and basic Spanish, Dr. Kalra treats patients ranging in age from newborns to seniors. She makes patient education a priority and believes that informed patients take more active roles in their healthcare. Dr. Kalra provides highly personalized care for her patients and encourages them to be involved in their medical decisions. Patients find her easy to converse with and approachable. Dr. Kalra received the UT Southwestern Excellence in Education Award twice in addition to many other recognitions. She has also authored a number of medical articles. A Bellaire resident, Dr. Kalra is married and has two children. Outside of her practice, she enjoys playing board games, running and spending time with her family. 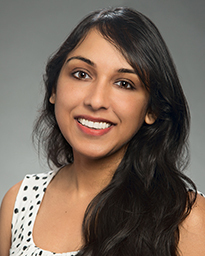 Dr. Kalra practices at Memorial Hermann Physicians at Sugar Creek.